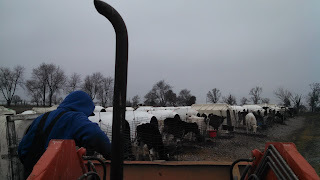 oldest son Cody scooped grain for each calf. both my sons on the family dairy farm. Cody was probably thankful that he didn't get run over!